Hello! Today I have another polish sent to me by the lovely people over at UK stockist Queen of Nails, again from the OPI Grease Collection. 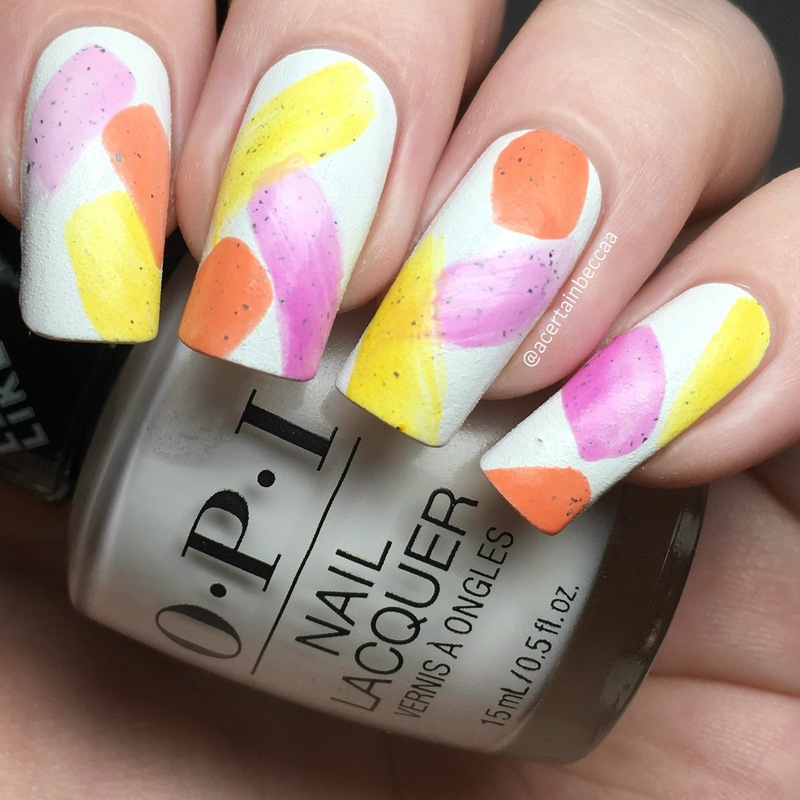 If you missed my swatch and nail art using 'Summer Lovin' Having a Blast! ', you can find that post here. This time I have one of the leather effect polishes to show you. As soon as I heard about these, I wanted to give them a go! Read on for my full swatch and more info! 'Rydell Forever' is a white leather effect polish. It applies like any other polish, and has a lovely smooth formula. The finish is textured, but it's a lot more subtle than a traditional textured polish like OPI's liquid sands. It's much finer and can easily be smoothed with topcoat (but that's no fun!). Below is two coats without topcoat. The leather effect doesn't show up massively well in photographs, so here's a bit of a closer look so you can see it better. 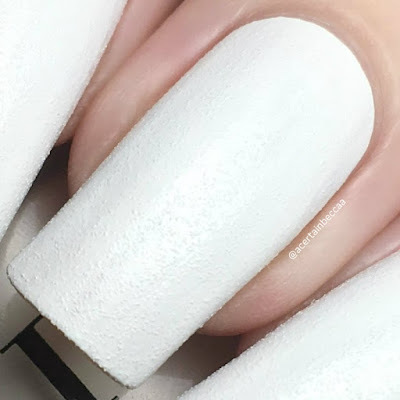 Being a white, I couldn't resist using this as a base for some nail art. I did a quick wet brush mani using three Sparklea Nail Polish thermals. I loved this, as due to the thermal properties, the stripes kept changing colour! What do you think? I love textures and fun finishes, so this is definitely a 'me' polish. I think I might have to get my hands on the black and pink ones to finish the trio. I'm also excited to see if OPI bring out more colours in this new finish - I guess I'll have to wait and see! Queen of Nails stocks a large range of OPI, including the standard range, infinite shine, and OPI gels. They also stock a wide variety of other brands. Remember to check them out here.